Hurricanes can cause catastrophic damage to coastlines and for several hundred miles inland. A hurricane can produce excessive winds as well as tornadoes and mircrobursts. Additionally, hurricanes can create storm surges along the coast and cause extensive damage from heavy rainfall. The Sun Coast needs to be Hurricane Ready. Floods and flying debris from the excessive winds are often the deadly and destructive results of these weather events. Link here to read more from FEMA on hurricanes. Lemon Bay Glass & Mirror is ready to ensure your home, vacation home or business is prepared for Florida’s Hurricane Season. 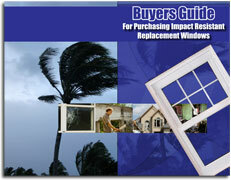 Please review the following document that is a guide for purchasing impact resistant windows. Link for additional impact window information. The Florida Uniform Building Code was put into statewide effect in an effort to promote hurricane-safe structures. Its main provisions are that all new & remodeling construction must include impact-resistant windows or shutters. All doors and windows must meet pressure requirements that stand up to hurricane-speed gusts. Lemon Bay Glass & Mirror can help you meet such requirements and ensure you are Hurricane Ready. Window & doors from Lemon Bay Glass are approved for use by all local building departments in Florida. This full-service division supplies services to Charlotte and Sarasota counties as well as Boca Grande and surrounding areas with approved impact windows and doors. All frames and glass meet or exceed wind load requirements in both large missile and small missile applications. 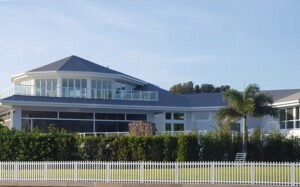 Lemon Bay Glass is ready to defend against the most extreme weather conditions. Contact Lemon Bay Glass & Mirror today for information about our complete product lineup of impact windows and doors. Don’t forget to inquire about such beneficial attributes as: Low-E Glass, Turtle Glass, Reflective Glass, Tinted Glass, Thermal Insulated Glass Glazing, LEED options for energy efficiency.